In this tutorial, we’re going to create our first custom webpage in django. 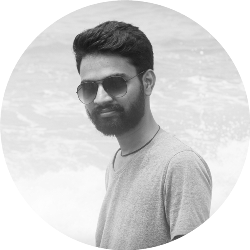 The main goal of this article for you to understand the whole flow of information in django website like if someone asks for specific url then how do we route them into the correct places and ultimately give them back some HTML. So before starting this article I am assuming that you’ve started the local server using python3 manage.py runserver command in project directory. 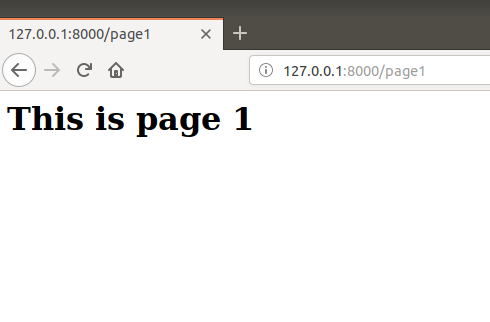 We’ve seen that whenever we create a project and run it in browser then django’s default page shows up. That’s isn’t our creation right. 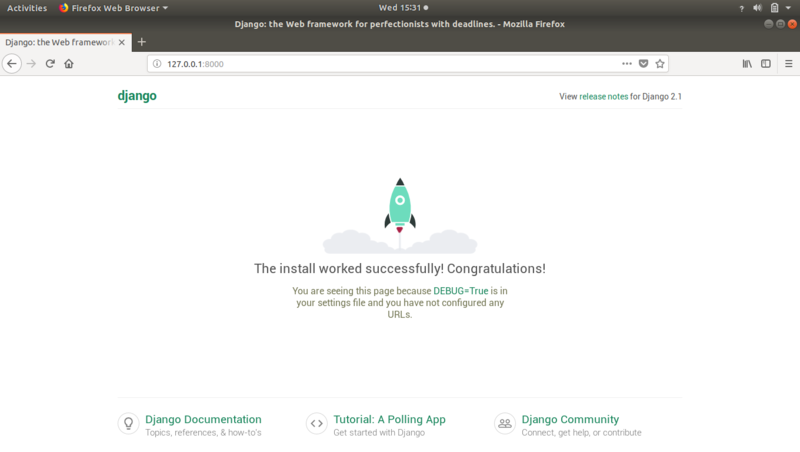 So let’s see how to create our own webpage in django. 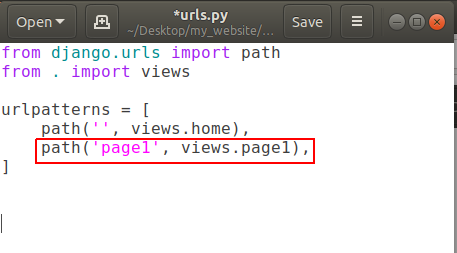 In previous articles, we’ve seen that anytime someone is looking for a URL on our website it comes to this “urls.py”. Currently we’ve path of admin/ in the list urlpatterns. 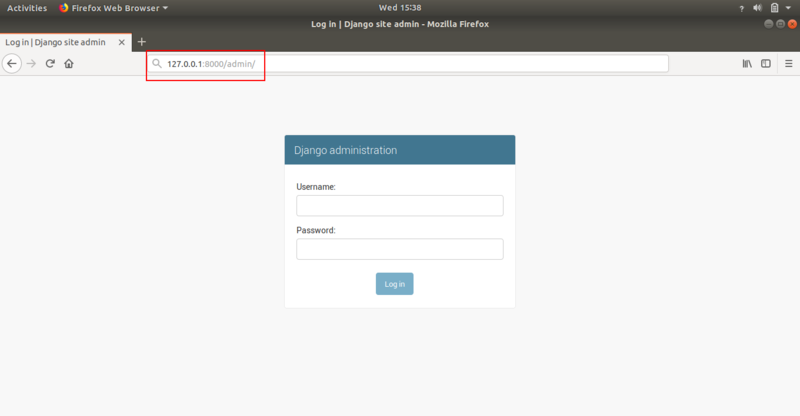 That means when user goes to our website (currently = http://127.0.0.1:8000/) and add a /admin in the url, user will be redirected to admin page of our django website. Note: That domain-name/admin (currently domain-name is http://127.0.0.1:8000/) is going to help us eventually work with the database but we don’t really need to worry about that right now. That how we can change any existing web-page’s URL. Note: In django, anytime you make a change to a file, it is going to auto-reload the server for you. So we don’t have to manually go back to stop and start the server to pick-up the new changes. Now our task is to make our own custom webpage so let’s do it. Firstly, we don’t need that admin page so delete that path entirely. 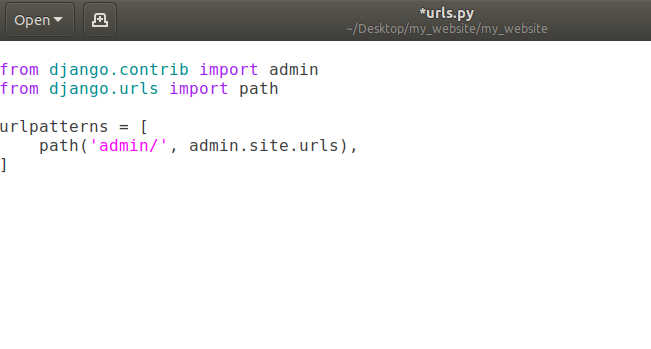 In fact we can delete the first line about admin in our urls.py as we don’t need admin anymore. Now let’s say we’re going to add a path for our own page. Let’s say homepage. So when someone comes to the homepage of our website then we’ll show them our own custom homepage instead of that default django template page. Now in path put a comma after the empty string and after comma (,) we’ll add another thing that will show that when someone comes to our homepage then where we want to send the user to. 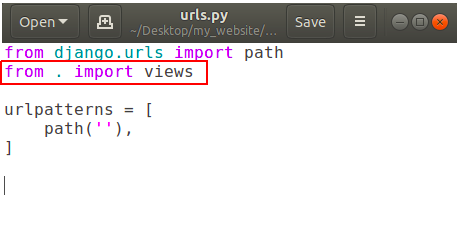 Here we have to create a new file called views.py which essentially allows us to send back some information. In above picture dot (.) means current directory. 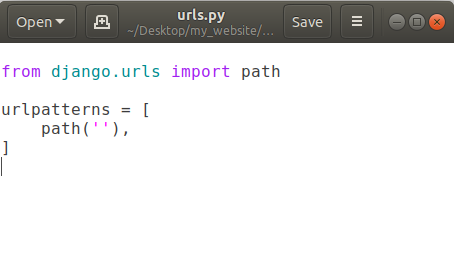 Now add a function to call in our path into urls.py. 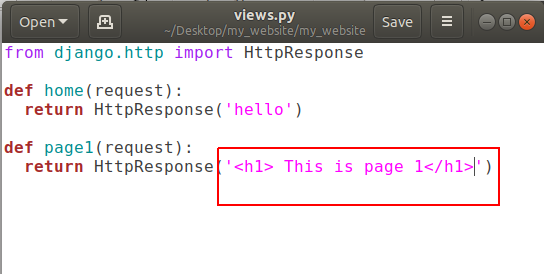 It is showing that if someone goes to our homepage then call the function ‘home’ which is located in our views.py, but we don’t have any function called home in our views.py yet. So let’s create it. Open views.py and add a new function called home. Here we’ve to pass request parameter in home function, anytime someone is coming for URL of our website it sends this request object which basically says that what’s the url they looking for and some more advanced information like some cookies and what browser they are using. So that type of information comes through this request object. Congratulations, we have our own creation on our homepage. 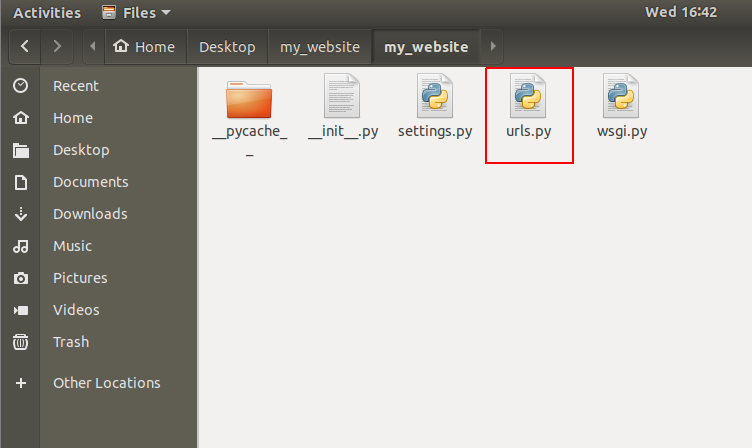 If somebody is opening our website’s homepage (http://127.0.0.1:8000/) then they will be redirected to our urls.py file. Urls.py check the entered url by the user. As there is no extra string after the domain-name in above example. 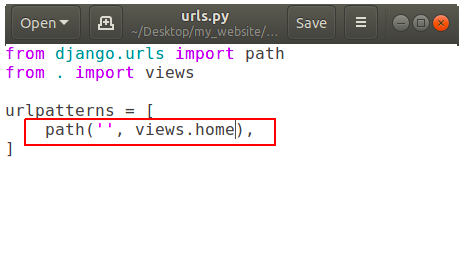 So in urlpatterns, it will check for the empty string and as we’ve one path having an empty string, it will be redirected to the function written in path with empty string, that is views.home in our case. 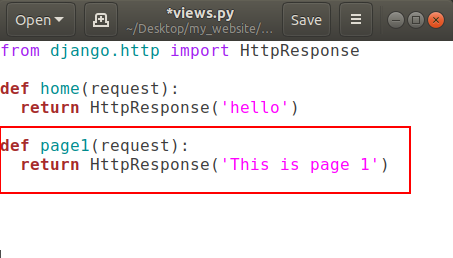 Now that home function in views.py is finally returning some HttpsResponse that is ‘hello’. So user have the information that he/she requested for. That’s how the flow of information works in django. 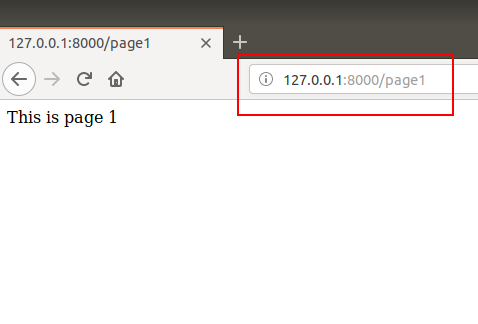 As we make one custom webpage, we can also add some more web-pages having unique addresses assigned to them. and open your views.py and create a new function for page1 . That’s how we can create multiple pages in our website. 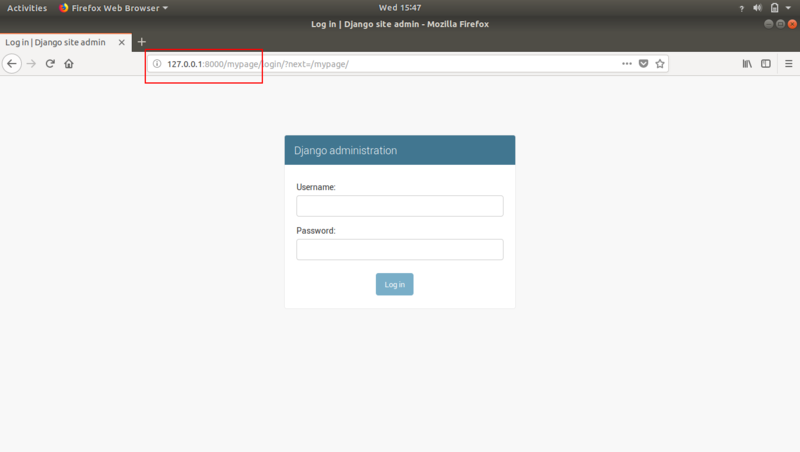 After reading and using this tutorial you’ll learn how to add a custom URL to any page, adding custom webpage in django website, creating multiple web-pages in django and the most important thing that is flow of information in django website. Comment down below if you have any queries.